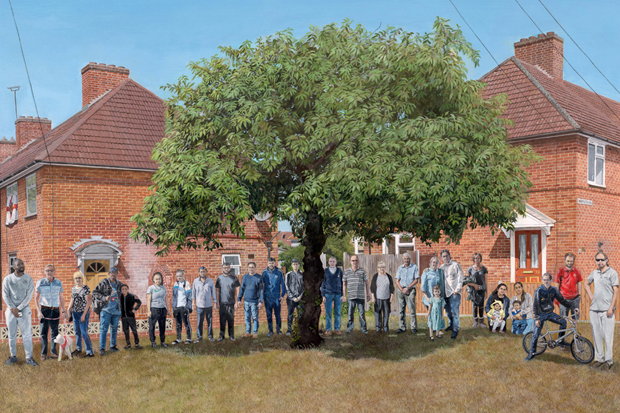 This work explores the utopian origins of the garden city movement so as to re-imagine new models of communal living within Dagenham’s Becontree Estate (East London), once the biggest municipal housing project in the world. 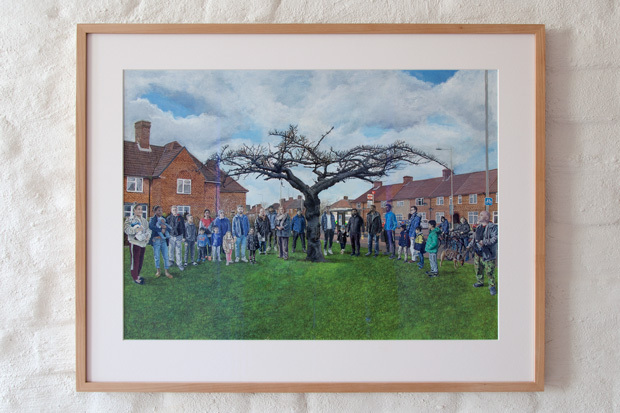 The starting point was the meaning of the name ‘Becontree’, as recorded in the Domesday Book of 1086, which derives from the words ‘Beacon’ and ‘Tree’. The original tree indicated the location where early hundred meetings took place. 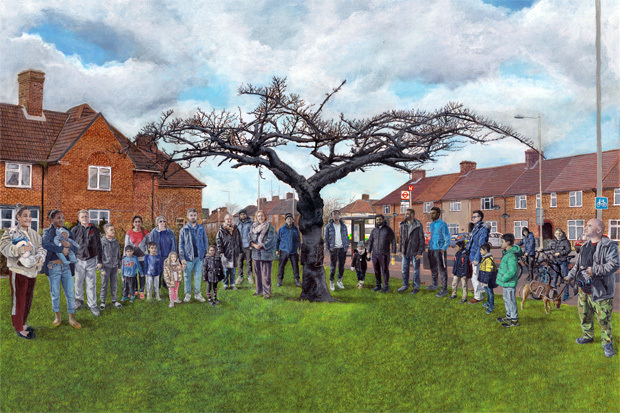 Dagenham’s Beacon tree is an example of what is called a ‘trysting tree’; trees that were meeting places for social, political and religious gatherings. 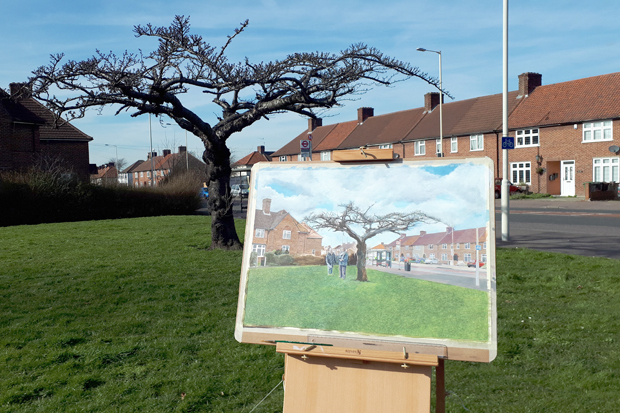 The project proposed a reenactment of this tradition through a series of paintings (en plein air) of characteristic trees on the green corners in the Becontree estate. 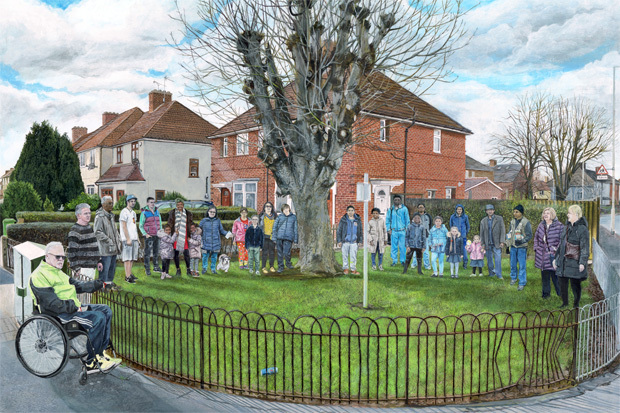 Whenever passersby showed interest in the painting, they were asked if they wanted to be included in the picture. 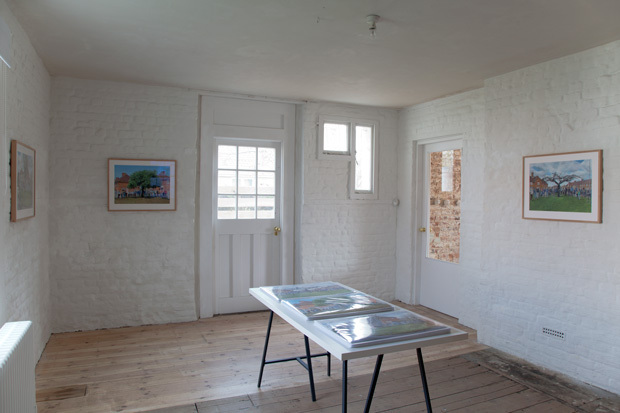 The finished paintings got exhibited at a local art center, The White House. 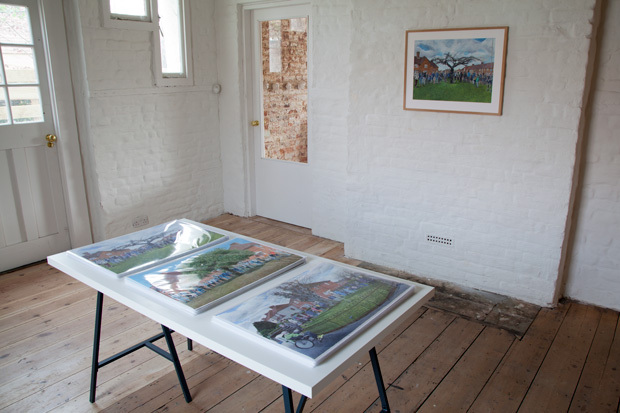 All 80 participants received an invitation for the opening of the exhibition and were given a printed copy. Simultaneously, they met all the other residents, effectively restaging the painting. During a workshop people were asked to imagine a narrative that would explain the paintings. What was the reason why these groups gathered around the trees? Together with the paintings, the results of this meeting will be used for a new permanent work on the site where the paintings were made. The Beacon Tree Gathering took place on Saturday the 30th of March at 3pm at the White House. People were asked to imagine a narrative that would explain the paintings. 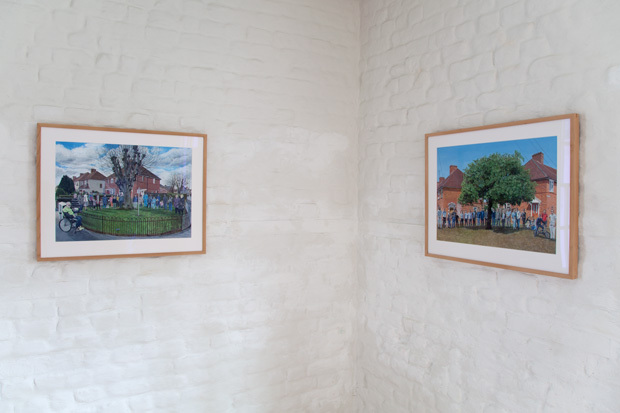 Together with the paintings, the results of this gathering will be used for a new permanent work on the site where the paintings were made. 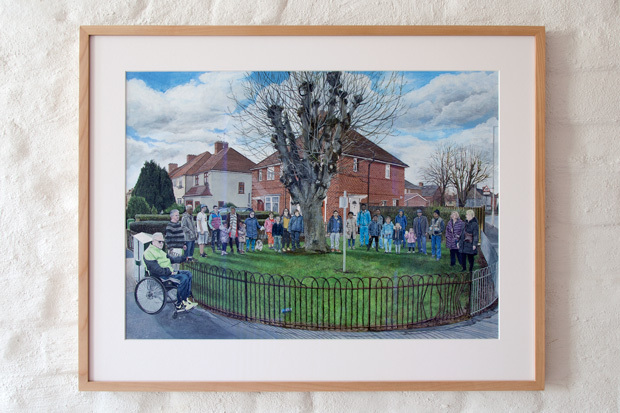 The outdoor paintings sessions were a way to get in contact with the residents of the former Becontree Estate. Through their own curiosity people got involved in the project. 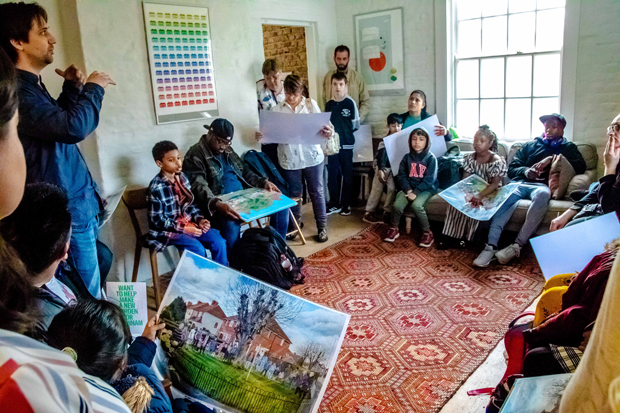 The medium of painting is a reference to the artist of the ‘arts and craft movement’ that helped to promote Ebenezer Howard’s idea of the Garden Cities at the beginning of the 20th century. 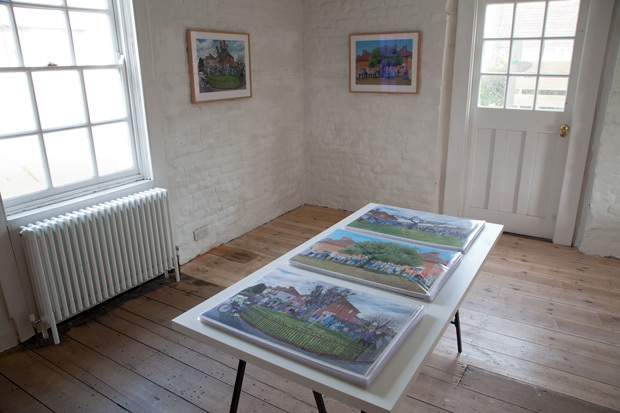 These artists painted idyllic paintings (en plein air) of the British country side and of the first garden cities. These images became influential in the popularization of the new suburbs, where the best of the city would be combined with the best of the countryside. Garden Cities would liberate people from the overcrowded and polluted city centers. 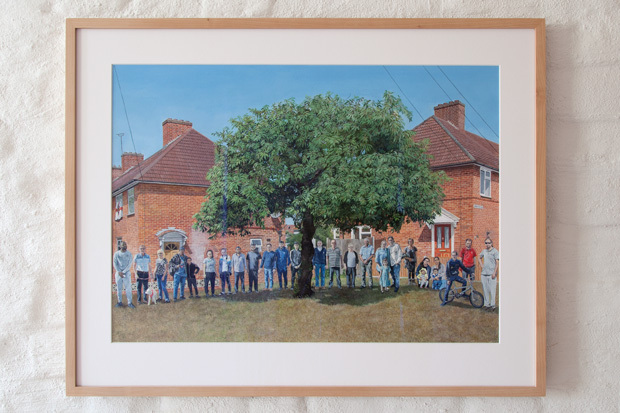 The Becontree Estate was not a new garden city, like letchworth and Welwyn, but many elements were copied, one of which was the focus on ecological structures, green corners, gardens, etc.